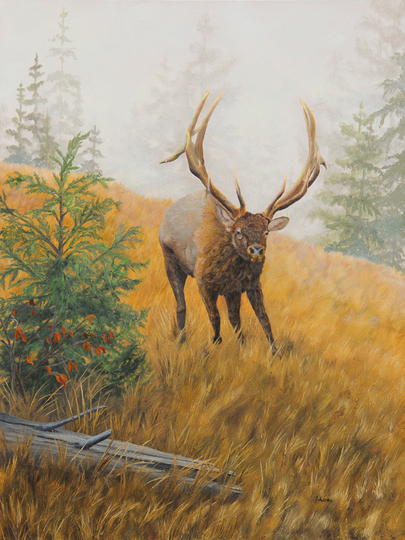 Giclee fine art paper and canvas prints of a bull elk charging down the hillside to his harem of females in the valley below. Late summer and early fall is the rut season for elk and they seem to be very active during this time. Have seen herds of elk as the bull elks are defending their harem as their own.